This weekend Laura Muir will be giving all her attention to securing her place in the Rio Olympics, but that has been far from the only thing on her mind this year. As she explained at the Stockholm Diamond League meeting last week: “[Combining running and studies] has been tough. “There have been a lot of times when I wish I could have been recovering but I have had to study instead. “But I have had great support from my coach and vet school as well. They have worked well together to get a programme that works for me. The 23-year-old finished fifth in the 1500m in 4:05.40 at the BAUHAUS-galan in Stockholm and said afterwards: “I was not very happy with the race. “It was a scrappy tactical race but I think it was what I needed to get back into competition mode. Perhaps I need to get my elbows out more! “I’m happy with where I am in training. I know I am in much better shape than that. “I was really pleased with Oslo which makes tonight annoying because I know I can run much better than I did. They were completely different races,” she added. The Oslo race she referred to was the previous Diamond League meeting, where she finished second to Faith Kipyegon (4:18.60) in the women’s Dream Mile. 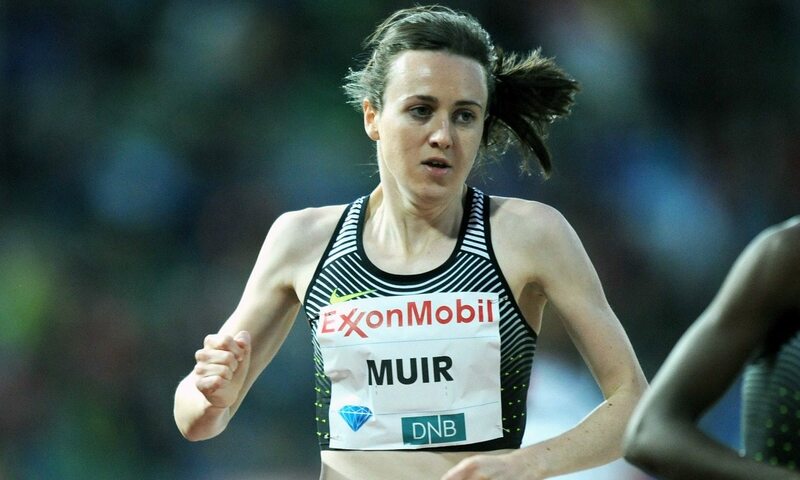 Muir’s time of 4:19.12 was a Scottish record and moved her to second on the UK all-time list. With her studies on the back-burner for a while, Muir looks to be running into form at just the right time in this Olympic year. Her irritation with what many would have seen as a solid performance in Stockholm, and her desire to learn from it, is another very positive trait as she returns to the track looking to secure her Rio spot this weekend.